WA Beer Week is BACK! 2018 WA Beer Week will take place from 16-26 November 2018 at the best bars, breweries and restaurants across WA. 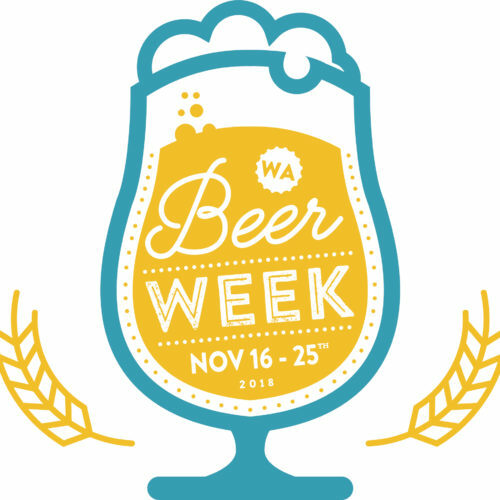 Organised by WABA , WA Beer Week is one of the premier beer events in WA and the opening party is beer week’s night of nights!! WABA is seeking expressions of interest from interested venues to help us choose the location for the 2018 Opening Party. If your venue is interested, please submit some information to the WA Beer Week committee about why your venue is the best choice. Space and size- How many people can you accommodate and will it be in the whole venue or do you have a function space? Date- our preferred event date would be Thursday 15 November or Friday 16 November. What date can your venue accommodate? Invite list- The opening party can be private (industry/media only) or public. What format would you prefer? If public, would you want to ticket the event? Marketing- The opening night is just 1 event. How can you help us gain further exposure for WA Beer Week throughout the week? Are you running any additional WA Beer Week events? What else? What else could you include in your venue package to help us pull it off without a hitch? Entertainment (DJ or otherwise), Catering, AV equipment (microphone), X-factor!?!? BEER- Assuming WABA can provide some donated kegs for the evening, how can you maximise exposure for these breweries that donate to WA Beer Week? The WA Beer Week committee will be working with whichever venue is chosen to help make it great! Help us decide where is right for the 2018 WA Beer Week opening party. To be considered, please email beerweek@wabeerweek.com.au by 27 August 2018.